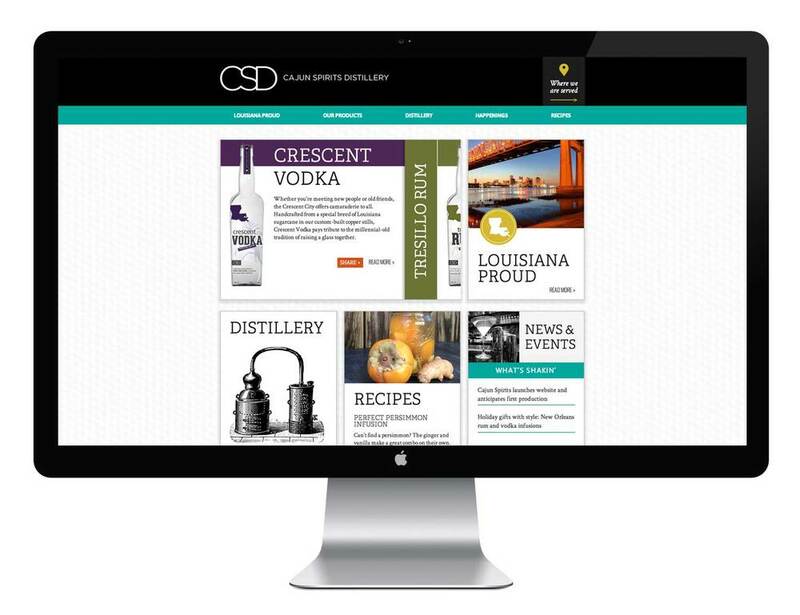 Cajun Spirits Distillery — the first distillery in New Orleans planning to produce a comprehensive selection of spirits using sugarcane — needed to launch their brand and products via the web. Bottles have yet to hit shelves, and CSD wanted a place for people to learn about their rum, vodka and gin. I worked in partnership with Karen Buck to develop a brand creative concept and copy for the website that juxtaposed archetypal New Orleans music, history and culture of New Orleans with a modern, cosmopolitan aesthetic — a match for the “New New Orleans” entrepreneurial culture that the distillery is a part of. Erin Allen implemented the website using WordPress to allow for flexibility as the distillery grew and added new products and promotions. Custom programming added interactive features such as a home-page product slider, a location map and “ambiance quotes” featuring comments on New Orleans and spirits from notable and notorious personalities alike. We expect to extend the brand campaign to other tools as CSD grows.